Another wonderful week just passed away, and it was full of new things & rumors happening in the tech and mobile industry. As usual we are here with the top five things that have happened last week from the tech and Mobile industry. Last week we saw a new leak about the iPhone 7 and it was reported by Wall Street Journal, iPhone 7 will be water resistance. Facebook announced the end to end encryption for the Messenger and much more. After Xiaomi Mi Note 2 report of having the dual camera, the recent report suggests that the new device of Xiaomi Mi 5S will feature Dual Camera. However, nothing much is known about the so called Mi 5s but reports suggests that the phone might be launched with 6 GB RAM. In the latest render, which was first published by Gizmochina, a dual tone flash light is also visible. Pokemon Go has been released for android Devices, to install the file, you will have to allow your smartphone to install applications from unknown sources. You can find the option in your Security settings on your smartphone. The application is not compatible with Android Nougat, in case if you have updated your device. Samsung recently unveiled the Galaxy S7 Edge Olympic Edition in Brazil, to celebrate the Rio 2016 Olympic Games. Samsung also announced that the Galaxy S7 Edge Olympic Edition will go on sale on July 18. The device is priced at €880 which is approximately and will be available in the limited country for the sale including the US, Brazil, China, Germany, and Korea. 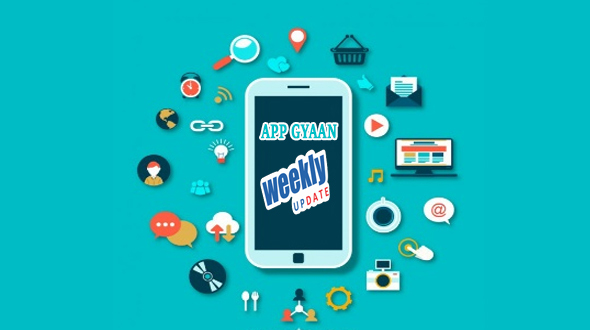 So these are some of the top news from the Tech and Mobile industry of the last week, will be back next week, till then bye.